We recently tried out a bunch of apps using an iPhone and also an Android phone. Here are our favorites based on usage and usefulness! So lets pack our bags, load our smartphones, this is traveling in the 21st century. We preloaded our phone with the apps before leaving the USA for Italy. Check with your provider to make sure you have a data plan that works in Italy and its cost. Or, you can purchase an Italian SIM card at one of the TIM phone stores to put into your phone; making sure your phone will work on a GSM network. The other major telephone companies are Wind and Vodafone. With the new SIM card in the phone and the help of the sales associate to reset the network band, the phone was ready. For reaching urban destinations you can’t beat Google Maps for dependability. We still bring a paper map, but rarely need to use it in city locations. 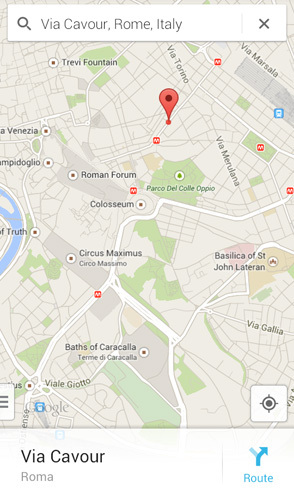 We were quite happy with Google Maps in Rome, Florence and Venice. Even when we got a little lost we were comforted to know that we could easily navigate our way back. Navigating in the countryside was not as reliable, we found ourselves pulling out our trusty detailed Tuscany map on occasion. The 21st century equivalent of a postcard. 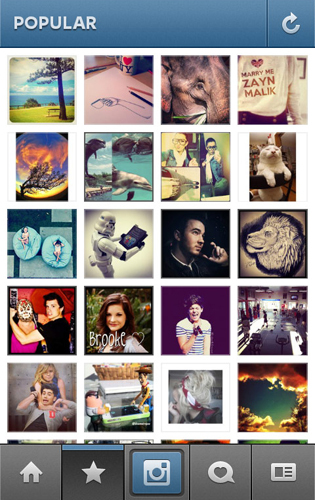 We’re finally getting the hang of Instagram, being dragged along by our younger colleagues here at Italy Perfect! And we’re starting to explore travel hashtags well before our trips (#Italy #Florence #Rome etc) to get excited about our upcoming adventures. The more we use Instagram the more rewarding it has become, allowing us to travel in time to pleasant memories of the Tuscan countryside or the time we climbed to the top of a medieval tower in Bologna. Follow us on instagram, @ItalyPerfect. Packing list builder is an app for compiling the greatest packing list. It includes weather information for your destination and all kinds of options for specialized travel occasions. It won’t let you forget your passport, pajamas or phone charger because it has everything covered. It is available in Rome and we love it! 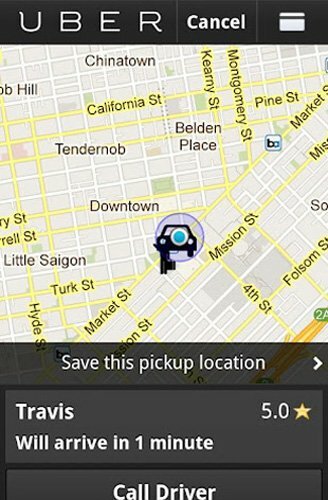 Uber is a great alternative to taxis for short rides in the city as you can plainly see the driver’s estimated time of pickup and pre-arranged price of the trip. With all the reliability that we’re used to in the U.S. we were pleased to find that Uber works just as well in Rome. For airport pick up service and longer though, our reliable private drivers are still your best choice since they know our properties and our greeters. Currency conversions and distance conversions with the drag of your finger. Only on iPhone. Keep in mind currency conversions are approximate since they tend to use the interbank rate (wholesale) not the cash (retail) rate. A cute app that crosses the lines between the real world and our digital reality. You can pick a photo from Facebook, Instagram or Phone Gallery, add a message and Postagram will mail a customised physical postcard to your friends and family. For a limited time, new Postagram users will be able to mail their first five postcards free of charge. Afterwards, each postcard will cost $0.99 USD for U.S. addresses and $1.99 USD for international ones. Photosynth creates flawless 360 degree panoramas that you can share with friends on social media. There is no better way to capture the full experience of Saint Marks in Venice so you can show your friends at home.